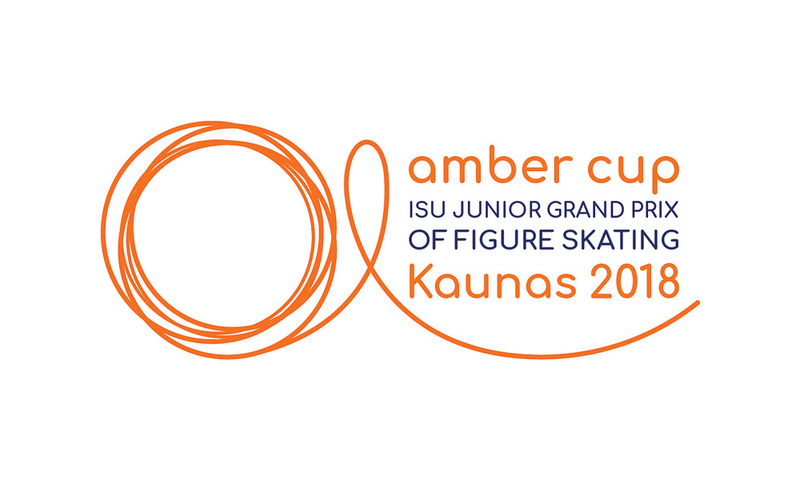 The Junior Grand Prix series continued this week in Kaunas, Lithuania with JGP Amber Cup - where 21 men, 33 ladies, and 18 ice dance teams contested for podium places that would bring them one step closer to the JGP Final in December. The ISU livestreamed the entirety of the competition and uploaded select skaters’ videos to YouTube; additionally, the ITL YouTube channel now features playlists of the medalists’ and special shoutouts’ performances, which can be viewed here. This stop at the JGP brought many surprises, as well as some extremely exciting historical achievements. Protocols, score breakdowns, and complete results can be found here. 🥇Andrew Torgashev captured his first JGP gold medal this week after finishing 4th in JGP Bratislava. While he had technical mistakes in both programs, his skating skills were unmatched and his dramatic performance to “El Tango de Roxanne” for his free skate helped propel him towards the top of the podium. With a gold medal now behind him, and a placement just off the podium, Andrew's chances of reaching the Final in December are looking strong. 🥈Kirill Iakovlev made an impressive debut in his first JGP season, skating two clean programs and earning the silver medal here in Kaunas. His short program, skated to the soundtrack from “The Pirates of the Caribbean”, was both energetic and entertaining. Though Iakovlev is currently not assigned to a second JGP event, we hope to see him again this season. 🥉Yuto Kishina received his first medal on the JGP circuit after delivering two strong performances. His “Ameksa” short program showcased his sharp movements and impressive speed. This is Kishina’s 4th JGP season, and he has shown a steady improvement over the years. We’d like to give a shoutout to Sinali Sango for his unique music choice of “Wings” by Macklemore and Ryan Lewis in his short program. We’d also like to mention Joseph Phan, who demonstrated beautiful spins and a lovely skating quality during his short program. 🥇 Arina Ushakov/Maxim Nekrasov, the reigning 2018 Junior World Bronze Medallists, became the first Ice Dance team, in both senior and junior, to score over 100 points in the Free Dance this season. Their somewhat campy yet highly energetic “Black Cat White Cat” FD certainly captured our attention - especially their impressive straight line lift that included Arina being held upside down! Although they are currently not allocated to a second JGP, we expect them to pick up a second assignment after their win here. 🥈 Avonley Nguyen/Vadym Kolesnik won the silver medal, and completely stunned us with their beautiful “Demons” Free Dance. Featuring incredible lifts, beautiful spins, and incredibly detailed expression from both parties - this program was the highlight of the competition. They were also the only team in the Rhythm Dance to get Level 4’s on both section of the Argentine Tango pattern. This is the first time the team has medalled in an international competition, and we very much look forward to seeing them at their next assignment, JGP Ljubljana, in early October! 🥉 Darya Popova/Volodymyr Byelikov took bronze at this event after solid performances in both the Rhythm and Free Dance. Their soft, lyrical FD to “Nocturne” showed off their expression skills nicely, and featured a gorgeous straight line lift. While their levels in the Free Dance placed them at 4th in the segment, their powerful Rhythm Dance allowed them to maintain their third place position overall. Shoutout to Oona Brown/Gage Brown for their incredible Gary Moore FD, which managed to be full of energy even after their disappointing fall entering the combination spin. Watch out for their super cool reverse straight line lift towards the end of their program! 🥇 Alexandra Trusova, the 2018 World Junior Champion and Junior Grand Prix Final Champion, stunned viewers and judges alike with her performances at this event. Her “Kill Bill” themed Short Program garnered the highest total score under the current judging system, at 74.74 points. Her Free Skate to “The Fifth Element” contained the first ever 4Lz attempt by a lady in international competition, and she became the first lady to ever land a quad combo (4T3T). Although her 4Lz was underrotated, and she fell on another 4T attempt, the technical level of her free skate was extremely impressive, and it received equally impressive high scores. Trusova has already been given a second assignment, JGP Ljubljana Cup in October, and we look forward to seeing her again. 🥈 Yelim Kim had a strong start to her third JGP season, coming in second and earning her first JGP medal. Although she was fourth after the short program, her “Meditation” Free Skate was skated almost perfectly, allowing her to make her way onto the podium. She finished the event with three new personal best scores. Kim’s next competition is the senior event U.S Classic on September 12th, followed by JGP Czech Skate at the end of this month, where she will try and secure a place in the Final. 🥉 Kseniia Sinitsyna rounded out the podium at this event, claiming her first medal in her first ever JGP event. Her upbeat short program to “Batucadas” brought the fire and showed off her very strong performance skills, while her “Trio Elgiaque No. 2” free program presented a more softer, traditional style of expression. With the intensity of the Russian Junior Ladies field, it is unclear whether her bronze medal at this event will garner her a second assignment on the JGP - but we hope so! Our shout out in the Ladies goes to Moa Iwano, who gave two beautiful performances at this event. Even though she struggled with some of her jumps, her expression, fluidity, and outstandingly emotional performance in both of her programs completely stunned us at this event. Well done, Moa! Stay tuned for more Junior skating next week, where the JGP series will continue with JGP Canada! The JGP ISU YouTube channel will livestream the event beginning September 13th.